Kids watch adults doing ‘important tasks’ day in day out, from washing up dishes, unpacking dishwashers, laundry, ironing, making beds, laying tables, cooking, cleaning, washing cars and bicycles, raking leaves in the garden etc. We are their role models and, believe it or not, under the age of 12 they actually want to be just like us! They want to do what we do and learn how to do it really well. And to do this we need to allow them in to learn all the skills involved. We must share the tasks, demonstrating and coaching as we go, ultimately letting them do things on their own. This builds their confidence – their ‘I am, I can, I will’ attitude that will assist them in their journey towards independence one day. In addition to doing chores with you, they can also role play with games and toys. 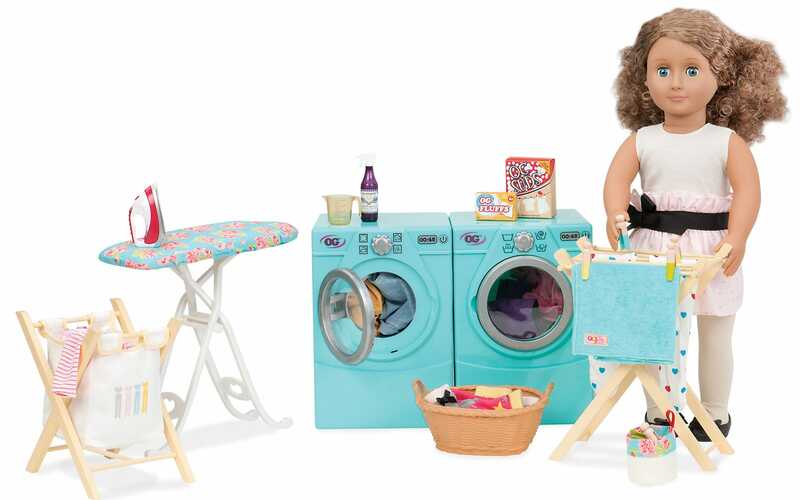 I found this gorgeous Our Generation Deluxe Tumble and Spin Laundry Playset with accessories which is perfect for doing just this. It is designed to go with the Our Generation range of designer 46cm dolls. They are perfect for imaginary play from four years and up. This playset is so life-like as well as being nice and chunky with doors that open and pegs that work. A word on the Our Generation Dolls: these large format dolls are unique because they are not babies, and neither are they pouty teenagers. They are just wholesome little girls that grow with a child’s interests. The wide variety of dolls come with different skin colours, hair types, hair styles and eye colours, which means that every child will find a doll that they can truly identify with. Watch my video product review at the end of this blog. 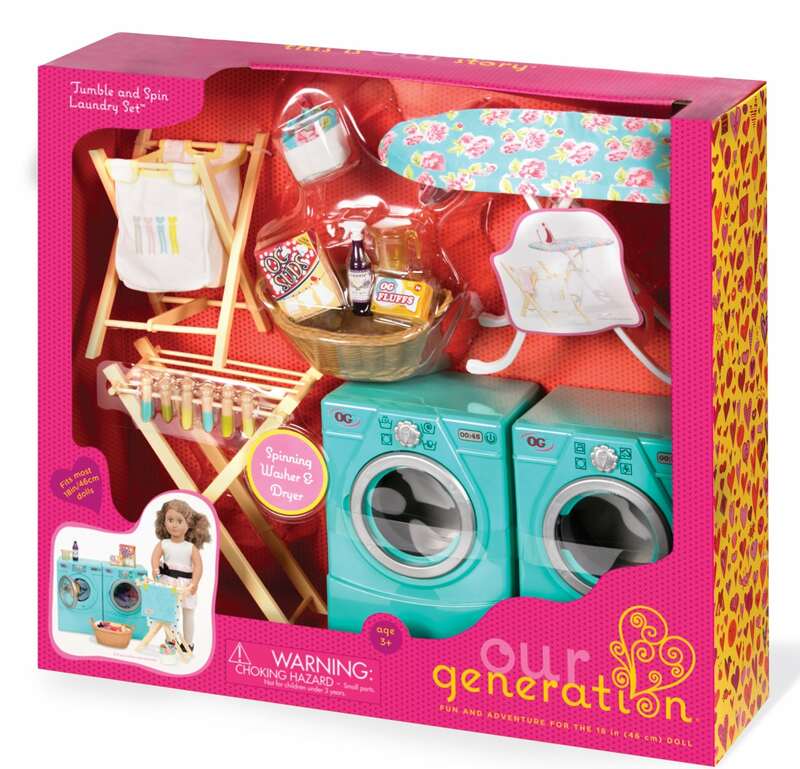 The Our Generation Deluxe Tumble and Spin Laundry Playset was reviewed by Nikki Bush for Toy Talk.